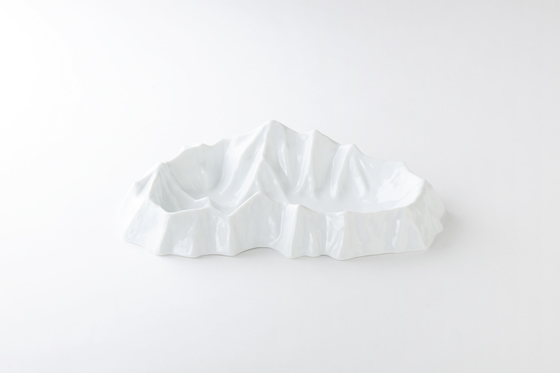 Please pour the soup into this plate to complete the mountain range and lake. Please enjoy the taste, the landscape and the topography of the plate. Additionally, when you use it as a salad dish, it becomes a forest; creating a landscape on your very own table.